Mrs. Kane has served the families of Our Lady of the Blessed Sacrament School since 1998. She holds a master’s degree in Elementary Education and a master’s degree in School Building Leadership. Mrs. Kane and her dedicated faculty and staff foster an excellent educational and spiritual environment to make Our Lady of the Blessed Sacrament School a true home away from home. She is the proud mother of two children. Ms. Avallone is a proud alumni of Our Lady of the Blessed Sacrament Catholic Academy. She taught Religious Education for three years at OLBS before becoming an Assistant Teacher in Pre-K For All since 2015. Ms. Avallone graduated from Queens College with a Bachelor’s Degree in Psychology. She is currently pursuing a Master’s Degree in Elementary Education at Queens College. She truly enjoys working with each child as she develops a greater appreciation for teaching. Josephine Banome has been a Kindergarten para professional since 1999, a job she truly enjoys. A mother of two Our Lady of the Blessed Sacrament graduates, she has been involved with the Our Lady of the Blessed Sacrament community for over fifteen years. Melissa Boscarino is a product of Catholic education. She graduated from St. Elizabeth Seton and Sacred Heart Academy. Melissa earned her Bachelor’s degree in History and her Master’s degree in Secondary Education from Quinnipiac University. Melissa has a passion for bringing history to life in the classroom. 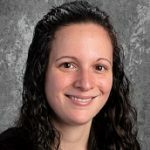 As an educator, she enjoys implementing creative and hands-on lessons that are aliened to 7th and 8th grade Common Core Standards. Pierpaolo Capalbo is the Language/LOTE teacher for students in Nursery through 8 at OLBSCA. He earned a B.A. in Foreign Languages and Literature from the University of Florence (Italy) and a M.A. from Syracuse University in International Relations. He also studied Linguistics, as part of the ERASMUS program, at the University of Seville (Spain). 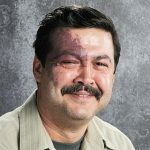 He joined the faculty at Our Lady of the Blessed Sacrament Catholic Academy in 2018. He believes that learning a foreign language helps students to gain perspective about their own culture and values and is fundamental to be successful in our globalized world. Outside of school, he enjoys spending time with his family, playing soccer, tennis and running. Miss Carbone, a life-long resident of Bayside, is a parishioner at OLBS. She serves on the board of The Rosary Altar Society. 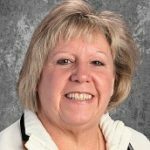 Ms. Carbone has been teaching at Our Lady of the Blessed Sacrament School for many years and has taught several different grade levels. 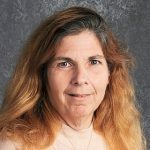 She continues to take pride in her students’ accomplishments and looks forward to educating many students in the future. To best accomplish this task, Ms. Carbone consistently attends workshops that allow her to learn and practice the newest and most helpful trends in education. Michelle Casalo has worked with children five and younger since 2007. She has taught Mommy and Me, Nursery, and Pre-K. Mrs. Casalo was a substitute Teacher Assistant at Our Lady of the Blessed Sacrament School from 2012-2015 before joining the faculty. 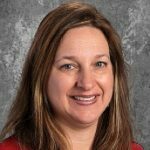 Jennifer Chorny is the Technology/ELA Support teacher for students in Nursery through Grade Eight at Our Lady of the Blessed Sacrament School. She earned a B.A. from Queens College and an M.A. from St. John’s University. As a former Catholic school student herself, she enthusiastically joined the faculty at Our Lady of the Blessed Sacrament School in 2006 after teaching several years at Queen of Peace School. Ms. Chorny has a love for being in the classroom and strives to program her students for success one day at a time. Marc Ciricillo joined our staff in September 2016 as the 7th and 8th grade science teacher. He completed his Bachelor of Science Degree after majoring in Biology at Marist College in 2014. Mr. Ciricillo completed his Master of Science in Adolescent Education at Le Moyne College in 2016. In his free time, Marc enjoys spending time outdoors fishing, hiking and camping. A graduate of Our Lady of the Blessed Sacrament School, Joan has been working as a Para-Professional since 1999 and is enjoying it. She is married and has two daughters who also attended Our Lady of the Blessed Sacrament School. Her family have been parishioners from the beginning when her grandfather helped build the church. Colleen Cronin joined Our Lady of the Blessed Sacrament staff in 2011. She graduated from Adelphi University, receiving her Bachelor’s in Sociology and her Master’s in Childhood Education. Colleen enjoys implementing creative lessons that are aligned to the Pre-Kindergarten Common Core Standards. She feels blessed to introduce her children to the school experience and foster their love for learning. Marina D’Andrea feels at home being a teacher in her parish. In 2006, Ms. D’Andrea created the art program for grades K-8 here at Our Lady of the Blessed Sacrament School. It is through her passion for art appreciation combined with her love for teaching that she is able to develop a masterpiece within each of her students. Linda Fodera has been an active parishioner at OLBS since 1998 and considers it to be like a second home. 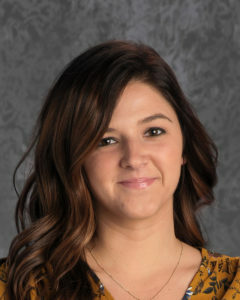 Mrs. Fodera joined the Our Lady of the Blessed Sacrament Academy staff as the school mental health professional in November 2018 and is excited to be in this position to provide extra support to students facing any behavioral, social, or emotional difficulties. Linda is a Licensed Clinical Social Worker specializing in providing therapeutic services to children and families in the New York City area since 2007. Tina Garriti has been a nursery school teacher’s assistant for the past nine years. Her goal is to make education fun and exciting for young, bright minds. Ann Marie Goetz is a graduate of Adelphi University and has been a nurse for 33 years. She has been a school health nurse since 2006 and has been working with the Department of Health since 2011. Ann Marie started at our school in September of 2016. Denise Hoffman has been a paraprofessional at OLBSCA since 2016. She is a long-time resident of Bayside and the product of a Catholic school education. She works to spark a love of learning and school in her nursery students. She is the proud mother of two adult daughters. As a former student of Our Lady of the Blessed Sacrament School, Debbie Isaacson feels right at home as the sixth grade teacher here. After she graduated from Our Lady of the Blessed Sacrament School, she attended St. Francis Prep. In 2005, she graduated from Mount Saint Mary College, where she double-majored in English and Elementary/Special Education. Kathryn Kane earned her undergraduate degree in English and her Masters degree in education from Queens College. 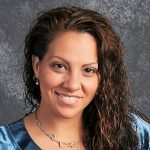 She is New York State-certified in Early Childhood and Elementary Education. She has two daughters, and enjoys spending her free time shopping, skiing and going on trips with her family. She fulfilled her lifelong dream of becoming a teacher several years ago. She is passionate about reading to and with her students, and hopes to encourage a love of reading in all of them. 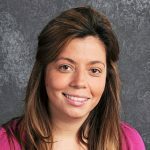 She taught third grade for six years, and now has moved on to teaching Social Studies and Religion to fifth- and sixth-graders. She strives to make learning fun by incorporating trips and projects into her curriculum. 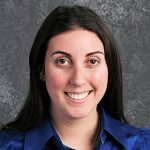 Sophia Koddaris-Theodossiou attended St. John’s University and has a Bachelor’s Degree in Adolescence Education with a concentration in English Language Arts and a Masters’ Degree in Childhood Education. She is a New York certified teacher that has taught in the Catholic school system for eight years. Sophia’s ambition is to inspire her 7th and 8th grade students and instill in them the love for reading and writing. Outside of school she loves to spend time with her family and read new books. 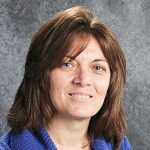 Kim Marchetti has been a Nursery school teacher for over fifteen years and joined Our Lady of the Blessed Sacrament family in 2017. She graduated from St. John’s University, receiving a Bachelor’s in Early Childhood Education and her Master’s in Instructional Technology. Kim loves working with her Nursery school children and experiencing the world through their eyes. She can always be found bringing love, patience and bubbly personality to her classroom. She is also the proud mother of two teenage sons. Susan Marmo joined Our Lady of the Blessed Sacrament staff in 2017. She graduated from Queens College, receiving her Bachelor’s in Art Education. She later received her Master’s degree from Touro College in both Childhood Education and Special Education. Her love for animals prompted her to become a certified dog trainer. In her spare time, she works with dogs and their owners on obedience training, protection training, and service work. Linda Mazzarelli has been working for the R.C. Diocese since 1990, first at Queen of Peace School and then at Our Lady of the Blessed Sacrament School as the bookkeeper. She attended Catholic school and her two daughters are graduates of Catholic schools. 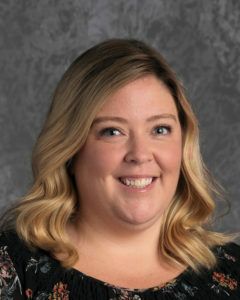 Noreen McNamara joined Our Lady of the Blessed Sacrament Catholic Academy in 2017 as a 5th and 6th grade teacher and is now a Kindergarten teacher. She attended St. John’s University and has a Bachelor’s Degree in Childhood Education with a concentration in Psychology. Noreen will begin pursuing her Master’s Degree in the Fall of 2019. She strives to instill a love for learning in her students from a young age. Karyn Medea is a product of Catholic education. She graduated from St. Kevin and St. Francis Preparatory Schools. 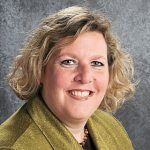 Karyn attended St. John’s University for her bachelor’s degree in Elementary Education and her master’s degree in Early Childhood and Literacy Birth-Grade 6. Karyn also earned a certification in working with children with special needs. While creating a challenging and fun learning environment for the students, it is Karyn’s goal to combine her professional experience with her ability to be a compassionate and enthusiastic teacher who will make a positive contribution to each child’s education. Barbara Nici joined Our Lady of the Blessed Sacrament in 2012. She is a graduate of Queens College and has her Bachelor’s Degree in Communication and English. Barbara attended Catholic elementary school and Catholic high school. She is the proud mother of one daughter who attended Catholic school as well, and graduated from St. Francis Prep in 2016. As a former Girl Scout Leader for over 11 years, Barbara is very comfortable working with children and enjoys her daily interactions with them. Carol Pacifico joined the staff at OLBS in 2012 and is the product of a Catholic school education. She posses the NYC DOE Secretarial License. Her previous experience includes 17 years as Assistant to the Deputy Managing Editor/Features at the NY Daily News, Administrative Assistant at an accounting firm, and Assistant Museum Educator at the Bayside Historical Society. She has two grown daughters. Trisha Papadimas attended Queens College in 2012 where she earned her Bachelors degree in English. She graduated from Adelphi University with her Masters in Adolescent Education in 2015. Trisha enjoys reading novels as well as writing poetry which she plans on implementing in her classroom. She believes in bringing out each student’s creativity as a key to his or her success. Trisha cannot wait to see her students thrive through reading and writing, and feels blessed to be part of the staff at Our Lady of the Blessed Sacrament. 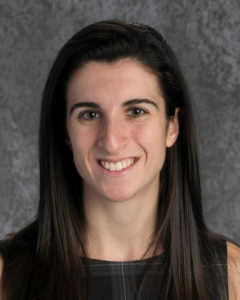 Marie Pusateri is the 7th and 8th grade Mathematics teacher. She graduated from SUNY New Paltz in 2016 with a Bachelor of Science in Math Education. She then received her Master of Arts in Secondary Education with a double concentration in Gifted Education and Middle School Education at Hofstra University. Marie joined our staff in September 2018 and has been teaching full time since 2016. 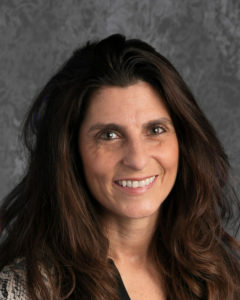 Marie enjoys educating her students through interactive activities and content based projects. In her spare time, Marie enjoys traveling, baking, and reading books. Carolina Quijije is the Director of the Pre-K for All Program at OLBS-CA. She holds her Masters Degree in Early Childhood Education from Queens College. Carolina is passionate about her work, making sure that all children flourish to their maximum potential while enrolled in the Pre-K for All. Her three children all attend OLBSCA. 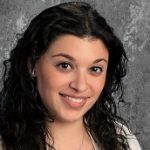 Mrs. Ragusa attended St. John’s University for her Bachelors Degree in Early Childhood Education and has a Masters Degree from Queens College in Childhood Education. 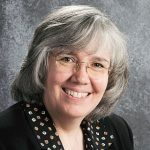 She has taught Kindergarten in the Catholic school system for many years and enjoys watching her students grow in a classroom environment that is fun safe and challenging. She is a parishioner and has a daughter who graduated from OLBS. In her spare time time, she enjoys cooking, traveling and spending time with family and friends. Mrs. Kathryn Randazzo completed her Bachelor of Science Degree with a concentration in Psychology and Childhood Education at Molloy College. She later completed her graduate degree in Early Childhood Education at Adelphi University. Her lifelong dream of being an educator is being fulfilled at Our Lady of the Blessed Sacrament School where she currently teaches Pre-K. She has also taught first and second grade. Originally from the Cleveland area, Gail has lived in New York since 1980. Gail is a New York State certified teacher and holds a Master’s degree in music with an emphasis on Music Education. The proud mother of two Our Lady of the Blessed Sacrament graduates, Gail has been a music teacher at Our Lady of the Blessed Sacrament since 1990. During this time Gail has expanded the music program to include recorder classes, string instrument classes, the Music Together Preschool Program, Show Choir and participation in such events as The National Anthem Project and the Lincoln Center Chamber Music Beginnings Program. 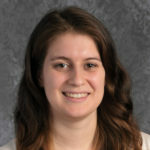 Jennifer Sackowski teaches fourth grade at OLBSCA. She is from Whitestone and has spent time living in Philadelphia, New Orleans, and South Texas. She received her Bachelor’s in Biology from the University of Pennsylvania and is currently working on her Master’s in Childhood Education and Special Education, 1-6 at St. John’s. When she is not teaching, she enjoys reading, going to the gym, cooking, and playing with her cat Nugget. Ramon has served the Our Lady of the Blessed Sacrament Parish and School since 1981. His jobs include Custodian, Fire Guard, Fire Drill Conductor, City Main Sprinkler System Operator, et al. His dedication and skills are unmatched. He is the proud father of four sons, one of whom graduated from Our Lady of the Blessed Sacrament in June 2010.